First of all, huge thanks to all those who participated in the Tornado giveaway and showered support for The Eligible Princess. I cannot express by words the appreciation for the efforts of the Book Club, for the unstinting support showed by Rubina Ramesh and the core team whirling up the Tornado 🙂 yes, it was a great big whirl. Thank you! If you participated and did not win, don’t worry, here’s another chance to win an ecopy of The Eligible Princess. All you have to do is message me via the contact page, why you would like to read a historical set in India. The best answer will receive a copy of the ebook plus sneak preview chapters of my new book featuring a Bollywood diva. Here’s the link to check out the book and a snippet from book blogger Nikita’s review. “I absolutely adored each and every page in the story and the end left me sniffling with a goofy, big smile on my face.” Full review at Amazon. 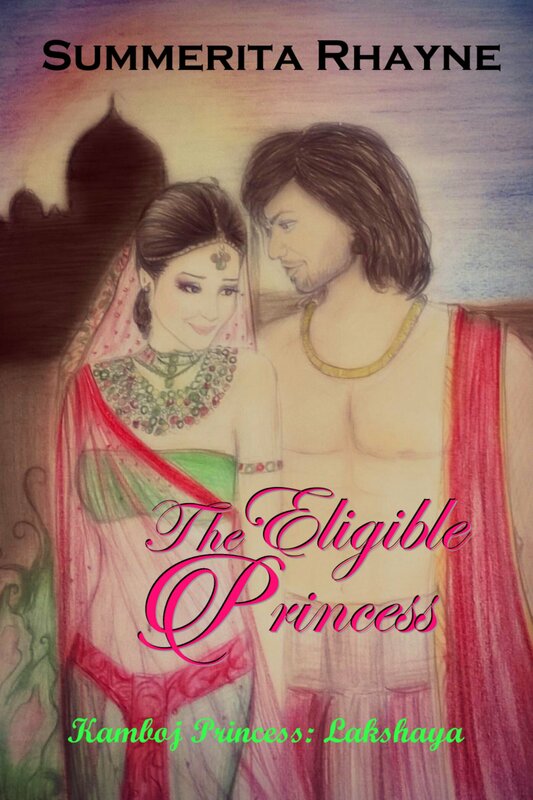 A historical romance set in Early Medieval India, The Eligible Princess is the second book in the Indian Princesses Saga and follows the story of the elder Kamboj princess, Princess Lakshaya. I want to read a historical set in India because it is written by you, and I adored your earlier one – so there! The books does seem intriguingly interesting… I’m sure I’ll love reading and then reviewing it. Thanks, Arvind! Great to hear 🙂 you are now in the contest.